Mailbag | What is the Appropriate Way To Call Out of Work?  Pete the Job Guy answers Anxious Amy’s questions: What is an appropriate way to call out of work? Do I have to explain where I’m going to justify? I feel like that might be too personal. Listen now! Mailbag | What is the Best Way to Ask for a Raise? Pete the Job Guy, Chief Sales Officer of GEE Group, shares the best way to ask for a raise. From the beginning, the company started as purely an irrigation company. Over time, Scott got certified for well-drilling, taught it to his employees, and then added it to his list of services. Scott also decided to add Christmas lights installation to the list after noticing there was a gap in the market for Floridians. Which worked out well, after seeing that irrigation and well-drilling slow down in the colder months. Reflection as a tool is often times not utilized in the professional space, which leaves leaders repeating an unproductive process, or even worse, a costly mistake. Reflection can be as easy as spending 5 minutes to think about your day before you go to bed, or as intense as the car ride home without the music on. I can analyze what I did on a ‘good’ day and what I did on a ‘bad’ day and change my attitude or actions to ensure a better day. When you are able to analyze your thoughts and emotions outside of the immediate conversation, you can find faults that could be attributed to yourself, which in the end makes one extremely humble and makes you think before you speak before the next time. Knowing what you know now, what advice would you give your 21-year-old, younger self? I am not surprised that these leaders knew exactly what they would advise their younger self. Some of my favorites (in no particular order) from our shows are below. Be prepared to learn from someone else’s mistakes and let us know if it was helpful in any way to you. Don’t want to read it? Listen to it in this episode! This advice comes from combined years of experiences and a LOT of mistakes. My wish is that you are able to avoid some of those hefty mistakes and run with this great advice from successful leaders. Warning: too much reflection is overthinking and overthinking is unhealthy. If reflection brings on anxiety, try doing it in small doses, or focus on things that are correctable. For instance, you can correct your attitude by how you speak to people or by your morning routine. You cannot correct someone else’s attitude or thoughts, you can influence them, but try to focus on YOU in reflection. Try to spend 5 minutes right now, wherever you are and just think about your day (so far). Think about the interactions you had, about the times you spoke, or emailed, times when you got upset, or felt uneasy. After taking some time to do that, now try to think about how you can improve the rest of your day, or tomorrow. “I was upset on the way to work because I got cut off (or I cut someone off), next time I will leave a couple minute earlier to avoid traffic so that I will not have to cut someone off, or I will not lay on my horn. Today, I [What I did] and next time [what I will do]. I hope that this time of reflection becomes a part of your daily life, and that it makes you strive to be better than the day before! If you would like to hear the full conversation, click here.